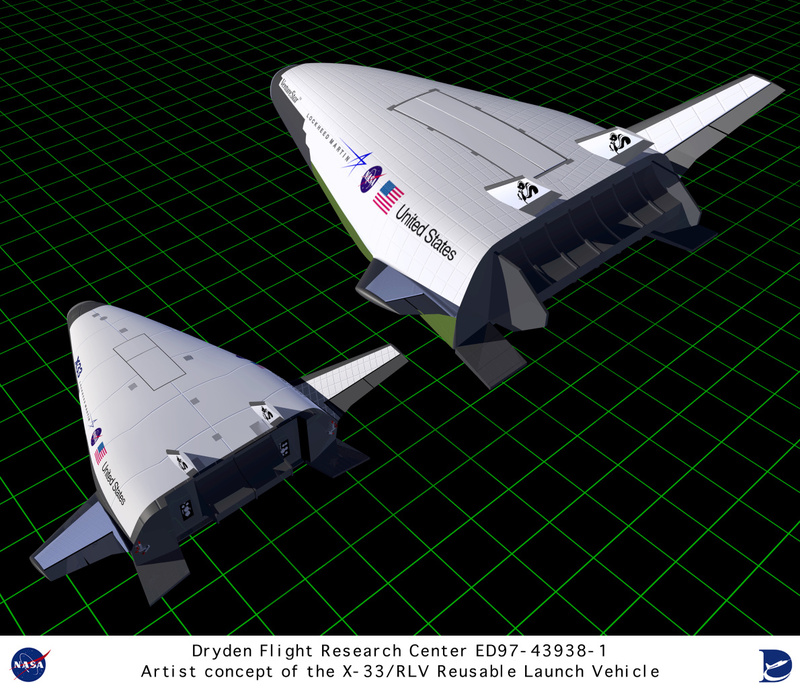 An artist's conception showing the relative sizes of the X-33 (left) and the proposed operational VentureStar. Although about the same shape, the VentureStar would be twice the size of the half scale X-33. The added size was necessary to accommodate a large payload bay, and the increased fuel supply needed to reach orbital speeds of Mach 25+. The VentureStar was intended to be a low-cost, reusable launch vehicle, while the X-33 fabricated to test the advanced technologies needed to build it. With the cancellation of the X-33 in February 2001, the VentureStar effort also ended.